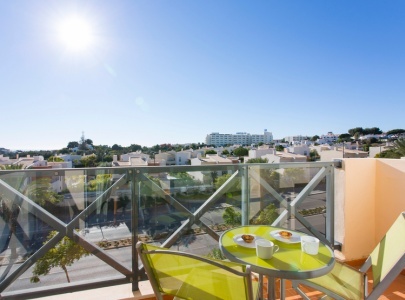 This wonderful one bedroom apartment in Albufeira has south facing balconies off the living room and bedroom, perfect for al fresco dining and soaking up the sun, with the swimming pool close by. Dedicated UK TV & Wi-Fi access. 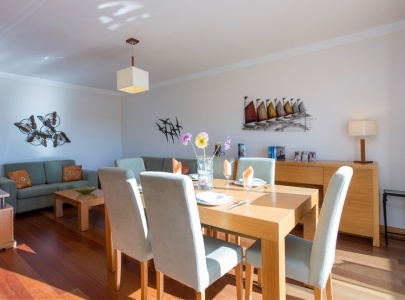 Beautifully and comfortably furnished and fully equipped for a self-catering holiday, it provides a home-from-home base in Parque da Corcovada, with many local amenities in Albufeira, such as restaurants, shops, bars, The Strip and beach, in easy walking distance. 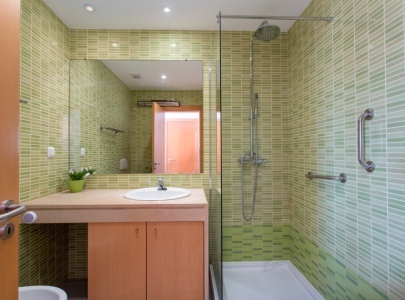 Spacious and cozy apartment, clean, with all the comfort . Perfect, in a quiet complex. 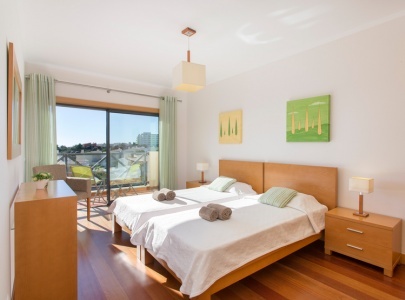 The service of Algarve Getaways team to receive us and the cleaning during the stay (change of towels and sheets) all perfect. Will definitely return. [SPA] Apartamento amplio y confortable,limpio y con todas las comodidades, perfecto,en urbanización tranquila. El servicio de Algarve Getaways al recibirnos y limpieza y cambio de toallas y sábanas todo perfecto. Para repetir sin duda. Excellent apartment with great facilities. 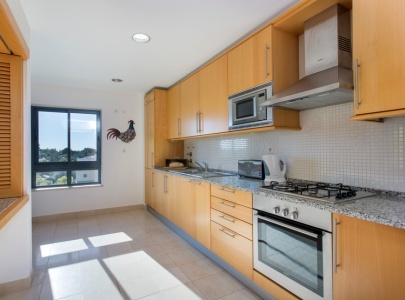 The apartment is of a very high standard and the complex well situated. The service provided by Algarve Getaways is second to none. What a lovely first holiday in Portugal we had! Cannot thank Algarve Getaways enough. Everything was organised and ready for us, great communication. Lovely friendly staff, we even booked a day at Zoomarine through them, which was no hassle at all. Would definitely use again for a hassle free holiday! Thanks!! We had a lovely time. Thank you very much for posting back the items we left behind. We had an absolutely fabulous time in Portugal. The apartment was first class and we could not have asked for more, so much so, that I would like to book again now for next year. Thank you very much for all your help throughout, it was a pleasure. We walked into a beautiful apartment, lacking nothing. There was even a welcome pack so we could relax and chill out before deciding how to begin our holiday. 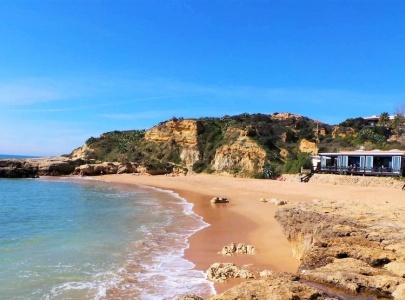 Algarve Getaways were great during our stay, supplying us with all kinds of suggestions and practical advice which improved our vacation immensely. We are very grateful to them and will most certainly book with them again. I have now returned home after a lovely stay at this apartment. I had a great holiday. Excellent holiday, very impressed with Algarve Getaways service before, during and after. Please pass on our thanks to everyone involved, will definitely consider again for next year. We had a brilliant time, so much so that we want come back again next year and for even longer. Home-from-home apartment, highly recommended. I am disabled and at no time did I feel uneasy or incapable that I wasn't going to enjoy myself. Five star service, 6 star apartment. Thank you for giving me the confidence to go abroad on holiday, I can't wait to return. Lovely apartment, was everything we were looking for. Lovely, modern complex with great pools, especially the childrens pool. Transfers were great and the drivers very friendly and helpful. Was particularly good to have the car seat for the wee one, which meant she got a sleep on way from/to the airport. We had a great holiday and everything from start to finish was simple and straightforward. 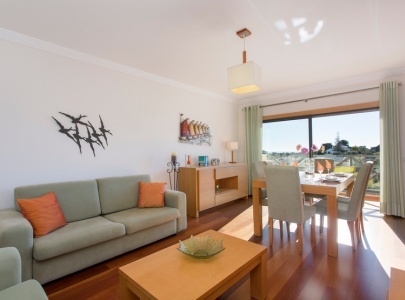 Algarve Getaways was recommended to us by a friend and we would have no hesitation in recommending to other friends. The apartment was absolutely amazing and it exceeded my expectations. Thank you for a brilliant holiday. I would book again with Algarve Getaways and recommend them to anyone. We would like to thank all the team at Algarve Getaways for aiding us to have a most pleasurable holiday in Albufeira. The staff were wonderful, sorting out our problems immediately & helping with our cases due to a broken lift on our last day. The apartment was very spacious and comfortable. Cleaning was of a very high standard. The pool was a little small but otherwise very good. The service from Algarve Getaways was very good and I will definitely use them again. The apartment was beautiful, a lot more than we expected. We had a wonderful holiday here, amazing apartment, lovely weather, could not have wished for more. Will definitely be booking with Algarve Getaways in the near future. The apartment was gorgeous and the cleaning and laundry changes could not have been better. The pool area was well kept, and we even had assistance to move parasols! The apartment exceeded our expectations. It was very clean, airy and modern. Parque da Corcovada is lovely, I cannot fault it at all! We will definitely be booking with Algarve Getaways again! First rate service. Being met at the apartment by a member of staff was a nice personal touch and made you feel there was help available if needed. Would not hesitate to use Algarve Getaways again. 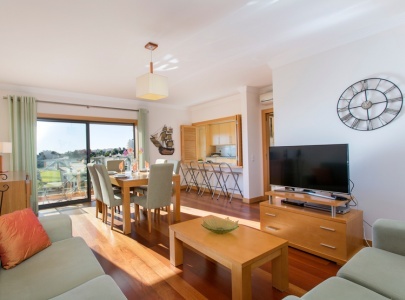 Parque da Corcovada is a quiet residential self catering holiday complex in Montechoro, popular for holiday rentals as it is just off the main street of Albufeira, in close proximity to The Strip, restaurants, nightclubs, bars, Bullring, supermarkets, shops and internet cafés. The tourist train to The Strip and the Old Town and Fishermans Beach, runs every 20 minutes.